teacher: tell me 5 animals in water. santa: frog's father, mother, sister and wife. Congress will bounce back again !!! The joke is already over !!! I heard Modi is going to introduce a "Personality Tax" for beautiful women and handsome men. Don't smile, I know you are safe par meri toh vaat lag jayegi! Girl to boyfriend: tum boys jab susu karte ho to uske baad apna woh kyon hilate ho? Boy: Hum usko ye yaad dilate hain ki - jaag laude, tere jeevan ka uddesh sirf mutna nahi hai! Question: What is the symbol for the element of surprise? 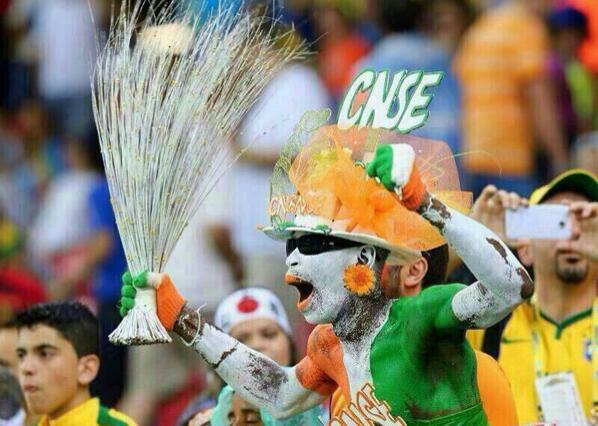 Kejriwal was spotted in Brazil watching soccer.. I wonder which honest team he would support. Doctor: Apki biwi ab sirf do din ki mehmaan hai. I'm sorry. . . . . . . . .
lol .. now dont you post this Ashika's thread. अच्छे दिन आ गये क्या ? उन के बच्चे हो गये क्या ? अरे यार सब्र तो करो..
सरकार पांच साल के लिए चुनी है..
अरे कोंग्रेस ने 65 सालों से जब डंडा दे रखा था ..
कुछ तो धैर्य रखों मेरे भाई...! Last edited by sarv_shaktimaan; June 19th, 2014 at 04:18 AM. Khisiyani billi, khamba nochay........ pls don't promote regional/minor parties. that simply means, the previous one had done the excellent job. For example, Bill Clinton looked good instantly,.. 'Coz Reagan had done well,.. IMHO,..It takes the time for a mango tree to bear the fruits,..and even the Rome was not built in a day. IMO,...If Modi does like IG, then n then, i would say, there is a problem. Last edited by Jagmohan; June 19th, 2014 at 07:27 AM. pls don't promote regional/minor parties. perhaps you should add that cong. is a regional/minor party now, according to logic of some people.